The Central Bank of Nigeria has asked the court not to grant an injunction that will stop the MTN Group from transferring the disputed $8.1bn back to the country, and wants the company to pay 15 per cent annualised interest on the sum until judgment is given, and 10 per cent from then until the whole amount is paid. The CBN made this argument in documents filed with the Federal High Court in Lagos in the past week and seen by Bloomberg News on Thursday. The apex bank alleged in late August that MTN and four of its lenders, Standard Chartered, Citigroup, Stanbic IBTC Plc and Diamond Bank Plc, illegally repatriated the money from Nigeria. MTN sought an injunction in early September to buy itself time and fight the claim in its biggest market, which wiped as much as 36 per cent off its market value. The transfers “may have been premeditated and contrived as a scam to make and maximise profits, defraud the Federal Republic of Nigeria and to enjoy unlimited foreign exchange income perpetually from a single investment without complying with the foreign exchange laws and regulations of Nigeria,” the central bank said in the documents. MTN’s shares fell for the first time in five days on Thursday, declining by 2.5 per cent to 87.30 rand. That extended their fall since the central bank made its accusations to 19 per cent. Yields on $750m of bonds due 2024 climbed 13 basis points on Thursday to 6.85 per cent. MTN is separately facing a claim from the office of the Attorney General of the Federation that it needs to pay about $2bn in back taxes, which the company also disputes. The Chief Financial Officer, MTN Group, Ralph Mupita, said in an interview that the two issues might cause it to scrap a planned listing of its Nigerian unit in Lagos. The CBN alleged that MTN used improperly issued certificates to transfer funds out of Nigeria after the telecoms giant converted shareholder loans in its local unit to preference shares in 2007. MTN denies the allegations. 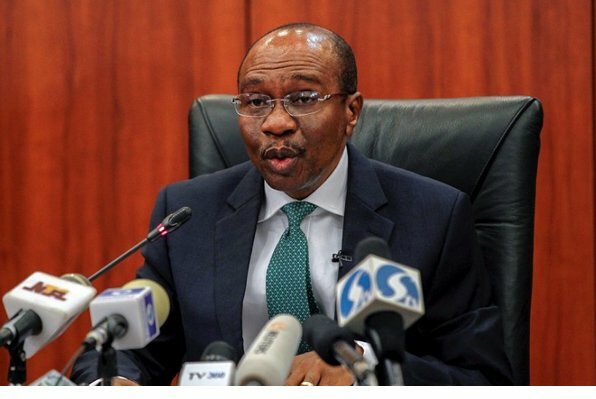 As such, the CBN imposed a total of N5.87bn on the four banks for allegedly remitting dividends with irregular Certificates of Capital Importation on behalf of MTN Nigeria between 2007 and 2015.